Welcome to MyGamePlus.com – the best World of Tanks fan community site. We provide both the mods of the highest quality and the freshest news. It is all absolutely free, you don`t even need to register. If you are looking for a rare mod, you are most likely to find it here. The thing is that we provide all types of mods, from the simplest sound ones to the complex modpacks, that even include some solid visual effects. Our specialists gather the mods from the whole World Web, then filter them properly and publish the best content. You will find both the modifications created by the professionals, and those, that were made by simple fans. Whatever you download we guarantee one thing: the mod or modpack will be virus-free and will work exactly as it is described, if you install it correctly. The best texture mods, improving the graphics. These modifications are available for everyone. No strings attached! 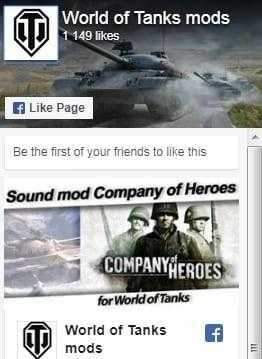 Just hang around our website and take look at amazing WoT content we have. So it is just the right time to choose the best mod for WoT 1.4.1.2 and download its latest version by the direct link for free! A lot of game-related soft is waiting for your choice. Choose something to your taste and test it on the battlefield. We do want you to enjoy the best game experience possible, so make yourself comfortable and discover the amazing world of mods!